Clean and well maintained 3 bedroom 1 bathroom home with basement and large fenced in back yard. Home features a spacious eat in kitchen, central air, big living room, main level laundry, and large master bedroom. Another feature of this home is the storage shed in the back yard that is the equivalent of another 1 car garage as well as another smaller storage shed. Home is extremely clean and updates include vinyl windows and newer roof. 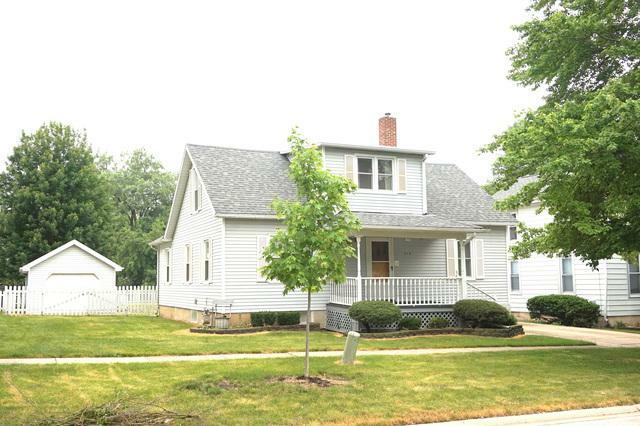 Good location located close to downtown Peotone. Exterior of home is maintenance free with several mature trees in both the front and back. Listing provided courtesy of Jones Real Estate.